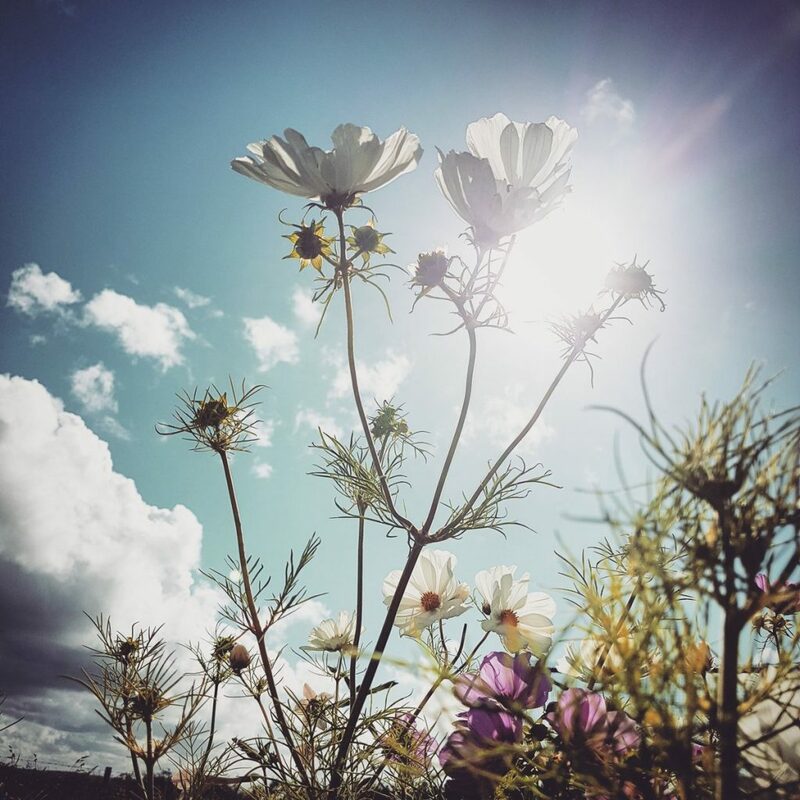 Cosmos rocks out in the summer sun. Generally speaking, Half Hardy Annuals are native to more exotic lands than the UK….lands closer to the equator. In their mollycoddled world they live warm and fuzzy in the knowledge that they won’t encounter a frost. This has allowed the cell structure in their stems to evolve differently to their chums the Hardy Annuals. If their stems get frozen it will damage the cell structure and they will likely keel over and croak, dependent on the severity of the frost. This makes them more challenging to grow in the UK of course….however, there are simple ways around the problem. 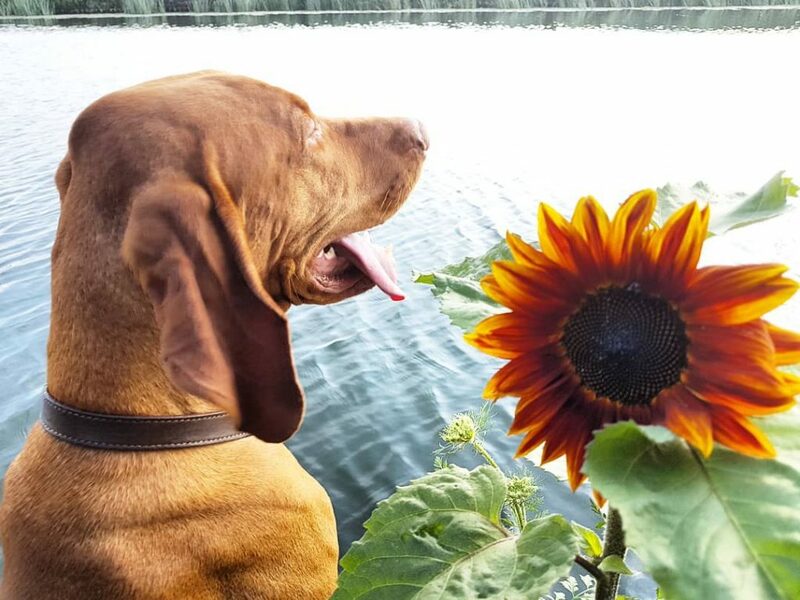 Sunflower Earthwalker with a very hot Mr Flash. How To Grow Half Hardy Annual Flowers In The UK. The simplest answer to this question would be to sow the seeds after the frosts have passed but this isn’t always satisfactory and this may be late May and many of our Half Hardy darlings like a long summer to flower. I find it much easier to start them off in pots from early April. Simply use a 3×3 inch square pot. Fill it (Almost to the top) with good quality compost. (I use peat free). Cover the seed with a light covering of compost. Water the pot lightly. Keep the pot moist but not soaking wet for two or three weeks and your seedling should be emerging. 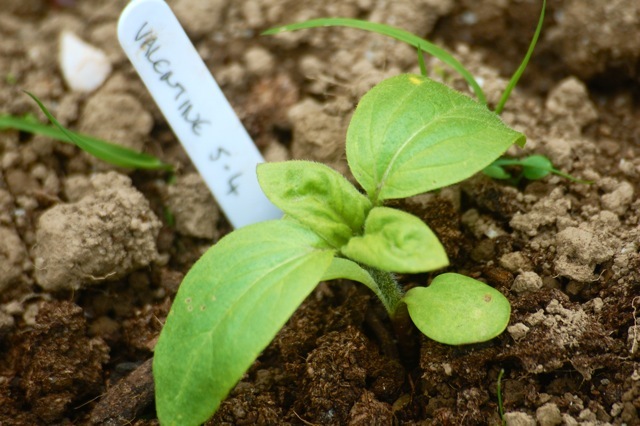 In the pots that fail to produce a seedling, simply sow some more seed. This staggering of three weeks will give you a slightly more spread out season of flowers. Don’t plant out your seedlings until late May. They will then rocket up like you won’t believe and should start flowering in July and flower right through until early November. A good rule of thumb is to leave a foot of space between all your plants. Which are the best Half Hardy Annuals To Grow? One of the qualities of Half Hardy Annuals is that they are generally more interesting visually, although you will likely get fewer blooms. Cleome hanging out at Higgledy in August. *Cleome. Among the most bonkers annual flower you can grow in the UK. The seeds are erratic to germinate. The tip here is to only cover them super lightly (if at all) and keep them moist. Sometimes they might take over a month to get going, but it’s worth it. 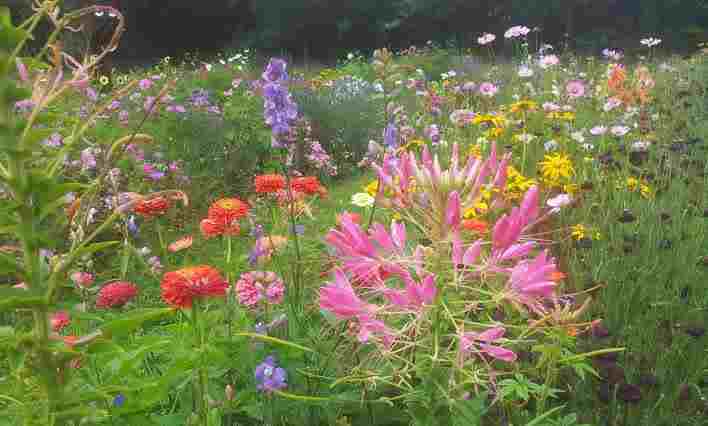 Cleome ‘Helen Campbell’ will be all the rage in 2019. Previous Post: Cleome From Seed. *Rudbeckia. 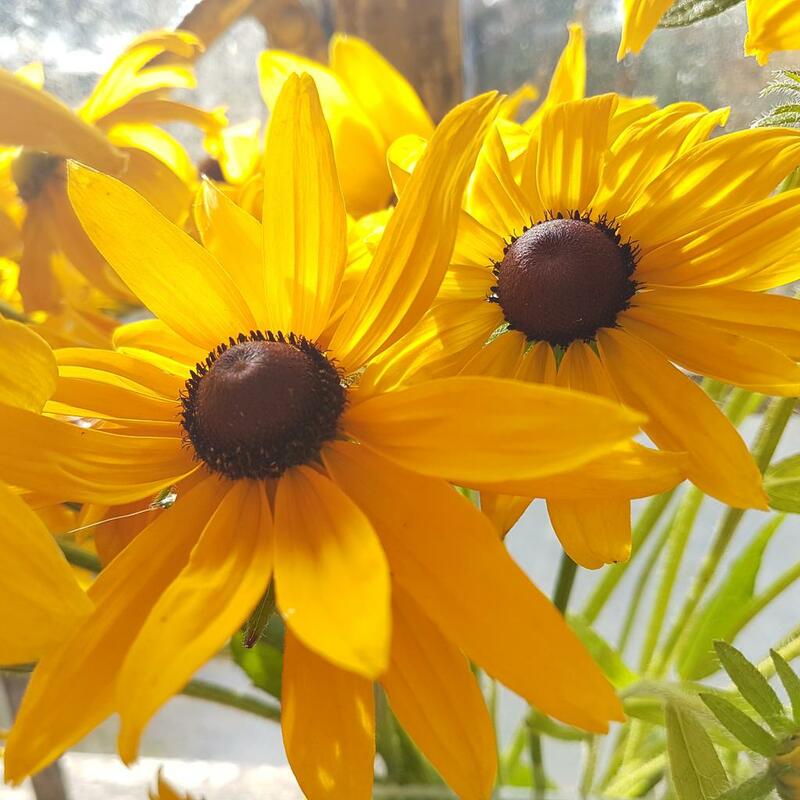 Rudbeckia are sunshine on a stem. Gorgeous beasts that will lift your heart and make you do little dances. My fav is ‘Marmalade’. Marmalade is simple and reliable and will provide so many flowers you won’t know what to do with them. Previous Post: ‘Rudbeckia. Late summer rockstars’. 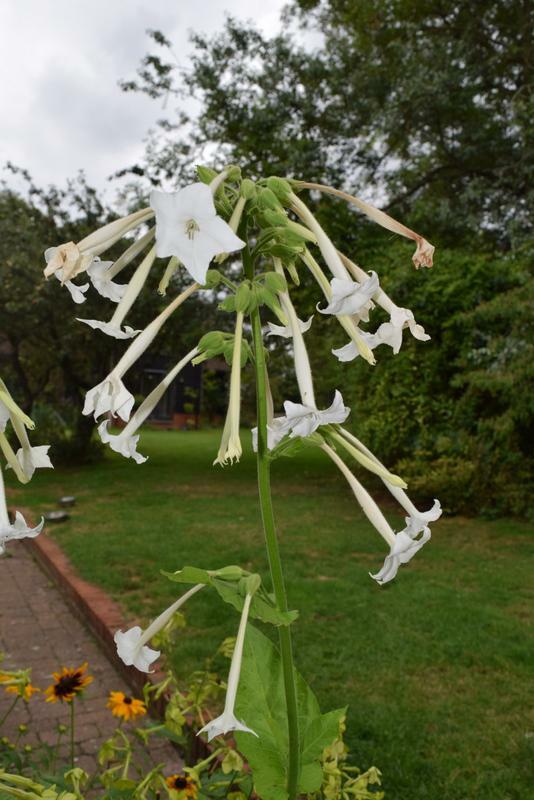 Previous Post: Growing Nicotiana From Seed. Tithonia. Half Hardy Annual. Sown early April. Handsome beast. *Tithonia. 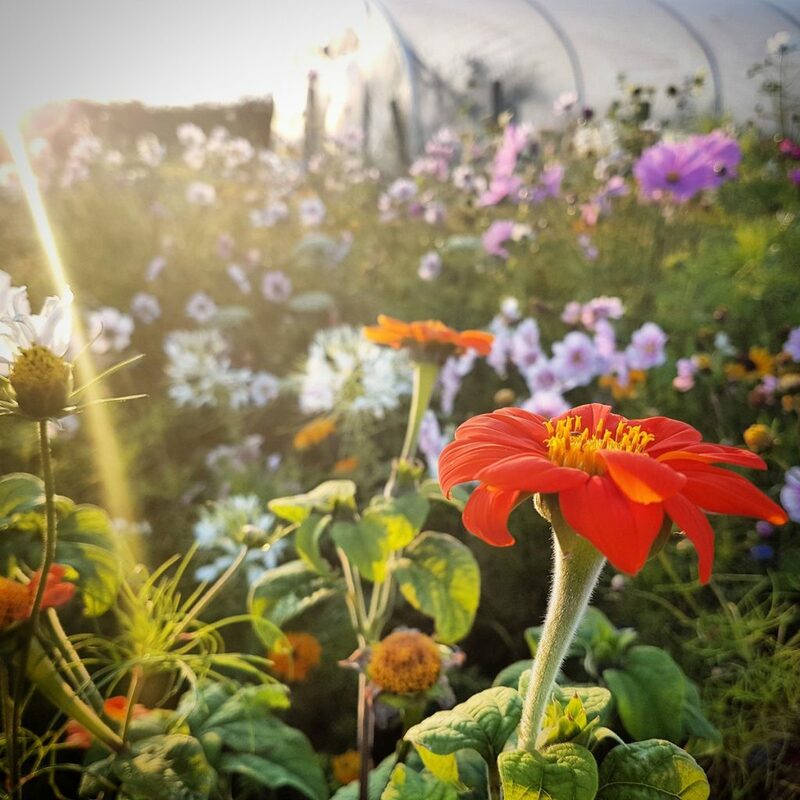 Tithonia ‘Torch‘ is the only Tithonia I have found that suits the cutting garden. It’s bright red flowers are so red they are almost naughty. Previous Post. Growing Tithonia For Cutting. These Cosmos ‘Fizzy Rose’ seemed to love this season. *Cosmos. 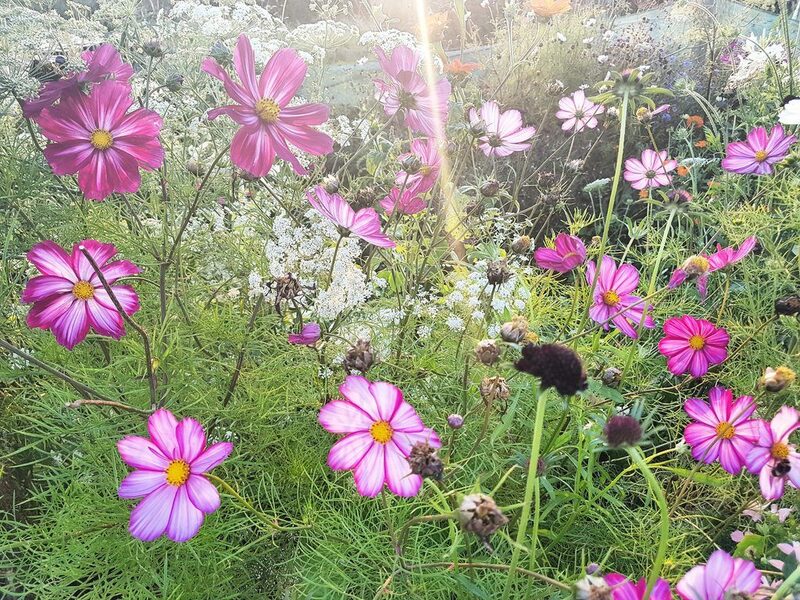 It should be illegal not to grow Cosmos if you have a garden. It is very easy to grow. Produces heaps of flowers, and it is drop dead gorgeous. Cosmos ‘Fizzy Rose’ is becoming popular with my discerning customers. Link: The Higgledy Garden Seed Shop. So there you have it. I have about a third of my annuals made up of Half Hardy Annuals. Be without them at your peril. If you have any questions then please ask away…you can find me onTwitter or Facebook. Should you wish you can join ‘Club Higgledy’ for newsletters and discount codes. (see the right-hand sidebar). NB ….I have some rather dashing Lavender bags in the shop right now. £9.50 straight to your door….P&P included. Aster ‘Ostrich Plume’. Are they from a parallel world? Callistephus chinensis. Corncockle. Agrostemma githago. Returns To Higgledy Garden.